1. 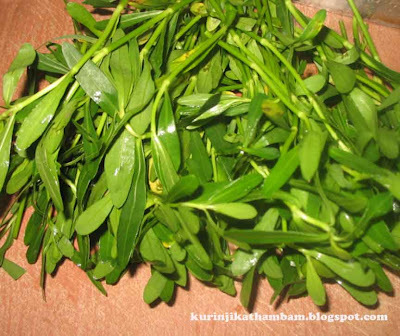 Clean and wash the Keerai with its stem. 3. Heat oil in a pan, add mustard seeds, and urad dal. Wait for popping. 4. Add cumin seeds, red chillies (cut them into small pieces), curry leaves and finely chopped onion. 5. Saute till the onion becomes golden color. 6. Then add the chopped greens and close the lid of the pan for 3-4 mins. 7. Remove the lid and stir well, and sprinkle the water if necessary. 8. Finally add the salt and grated coconut, mix them well. 9. Fry until the water evaporates from it. 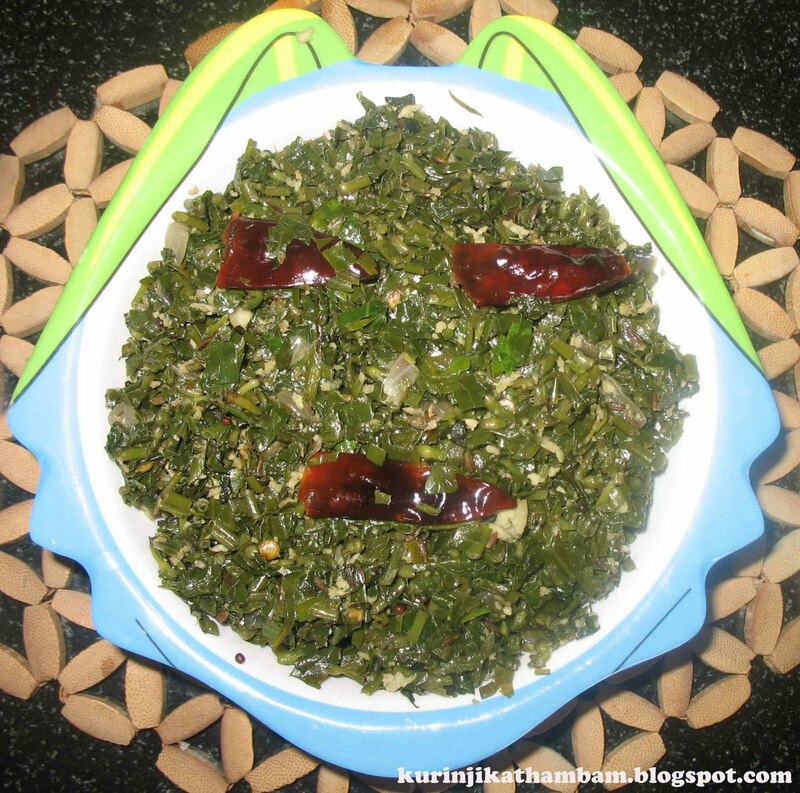 Love this keerai poriyal very much..
miga arumai and healthy, there's a suprise waiting for u in my blog ! my favt fry..looks yummy right now like to grab n have..
A very healthy dish ..I love poriyals. Once again many thanks for the award that you shared with me.I made a special tag to thank you. ..plz collect it. My favourite. Very healthy poriyal. Nice n simple curry...i love anything wid greens..
Delcious greens with my favorite ingredients-cocnut,curry leaves:) These are not fenugreek leaves? Oh man, i love these, miss them so much here, my mom used to cook with them all the time.. I liked your blog very much. I appreciate for your wonderful presentation. Very nice, delicious, yummy and healthy dish. healthy n love this poriyal very much!! 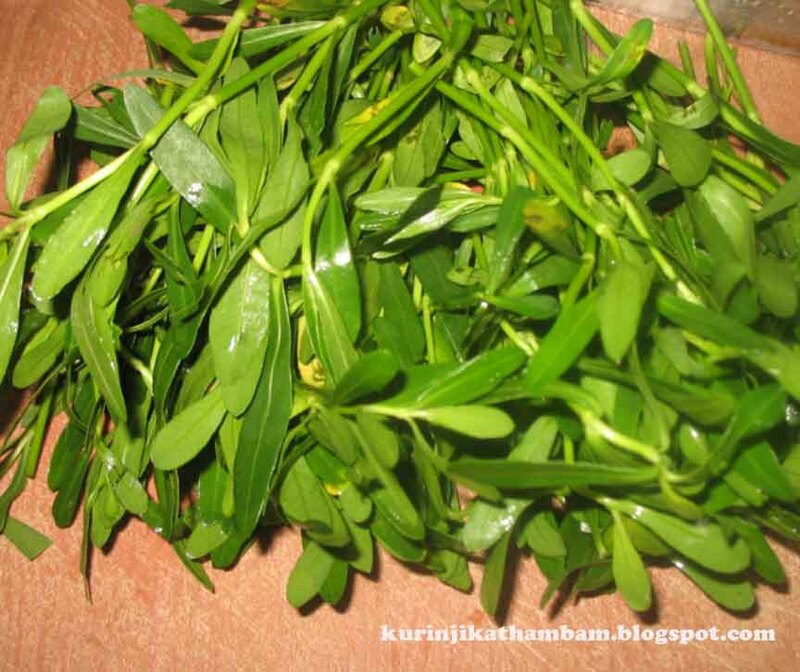 stir fry looks really good Kurinji..
ahh..ponnaganni keerai...i really miss this keerai a lottttttttttt..
what r these leaves called in english?...looks tasty tho! wow, these greens r totally new to me. what is their flavor like? 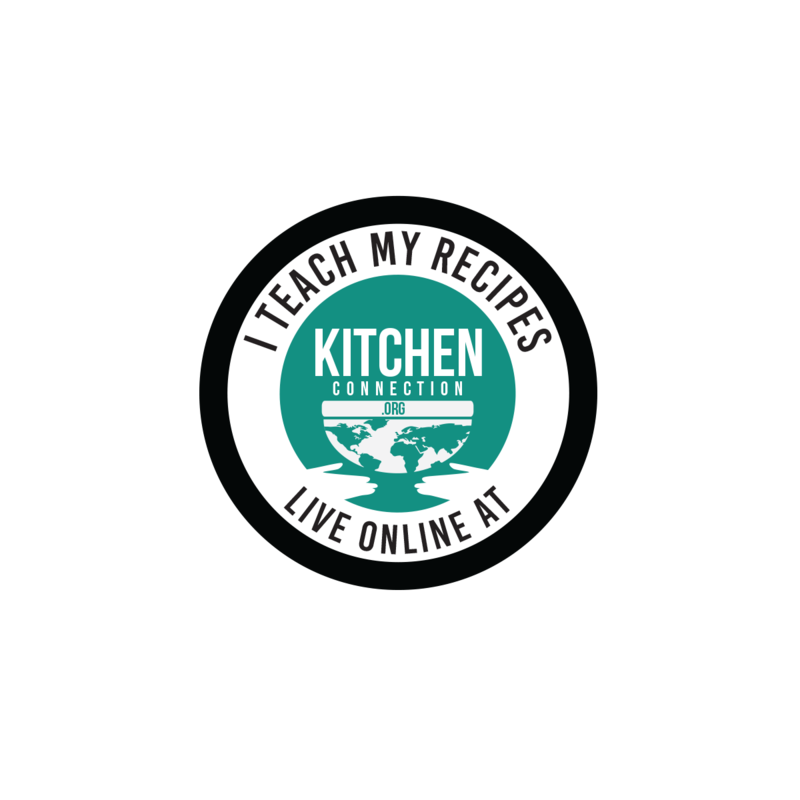 nice and simple recipe! Healthy keerai poriyal,miss ponnaganni keerai. haven't tasted this keerai yet..poriyal looks yummmm! looks so interesting..... thanks for the recipe!